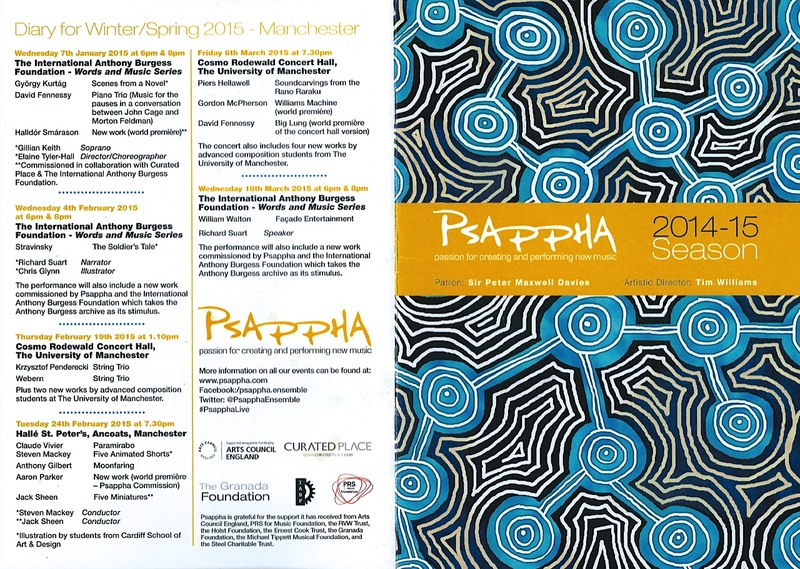 Very excited to be involved in animating and illustrating Psappha’s 2014-15 season in Manchester with CSAD Illustration students: Stravinsky’s Soldier’s Tale on 3rd Feb at the Anthony Burgess Foundation, and Steven Mackey’s Five Animated Shorts at Halle St Peter’s on 24th Feb. The concert series explores relationships between word and image, with Soldier’s Tale and Walton’s Facade (18 March) narrated by Richard Suart. We’re confident that this new Cardiff-Manchester association will spark further collaboration between young composers and illustrators, using moving image, live drawing and other media.